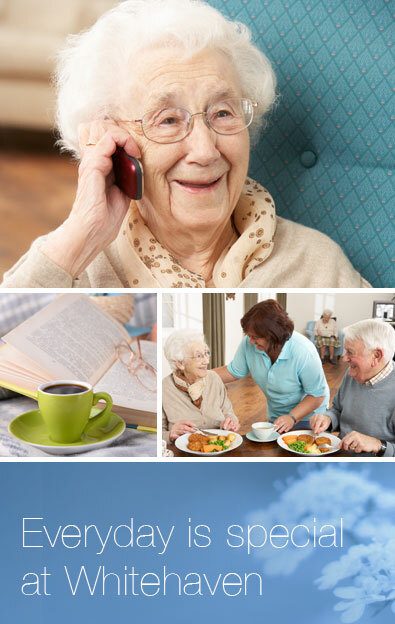 Whether you are looking for a place to call home, a place to rest or a place to recover after an unexpected illness, Whitehaven offers our community a range of flexible, yet luxury options to aid in support and care when its needed most. Every day is special when you are surrounded by likeminded people, good food and warm familiar surrounds. Beautiful tranquil grounds, delicious meals and professional friendly support around the clock illustrate some of the ways in which our residents enjoy a truly elegant experience. We offer our residents and guests the very best the industry has to offer in supporting you in a home-like environment with all the luxuries of a 5 star hotel. Are you in need of a rest, as a primary carer or simply requiring a little break from mundane daily tasks? Alternatively, you feel hesitant to leave mum or dad at home while you take a well-deserved family break? Whitehaven offer short respite stays for you to recharge your batteries and re-build strength. Our goalis to ensure a successful transition home. We take the pressure off by providing regular wholesome meals, serviced rooms and onsite daily laundry. This allows you to put your feet up relax and take some time out for yourself. You never know you may get use to the 5 star services and decide on more permanent arrangements. Unfortunately, life throws us the occasional curve ball of ill health. Fortunately, Whitehaven is here to provide premium care post hospital or ill health to assist on the road to recovery. This allows individuals the support and assistance required to get back to optimum strength. This can be a stressful time not only for individuals but also families. Whitehaven supply the support needed to rebuild your wellbeing and confidence. Socialisation is the heart of every community. We offer our guests the opportunity to participate in lifestyle events or alternatively sit back, relax and indulge in the peaceful nature provided in our luxury boutique setting.